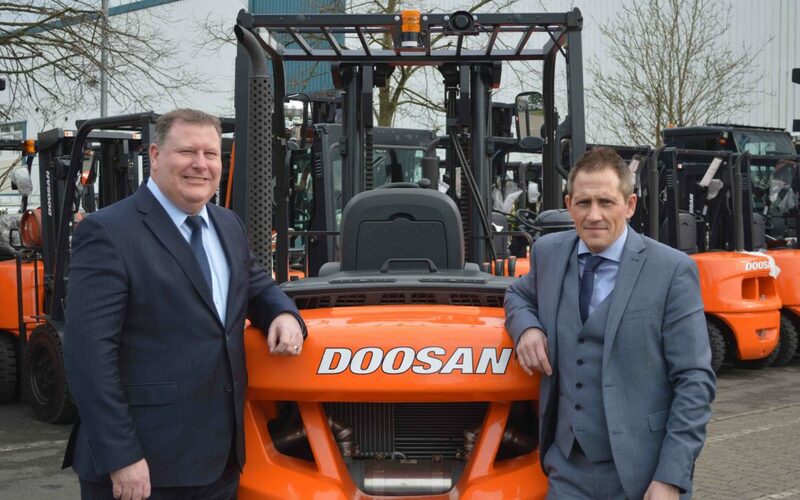 Doosan are delighted to announce the creation of an in-house National Accounts team who will be responsible for identifying and developing the larger fleet users and multi-site operations within the UK. Since Doosan’s acquisition of Rushlift, the UK’s leading independent provider of forklifts and fleet services in February 2015, the £20-billion Korean Doosan Corporation, and leading manufacturer of high quality counter-balance forklifts and warehouse equipment, is now targeting the forklifts users who operate larger materials handling fleets. Rushlift has, and continues to be a customer service focused business, which makes a huge difference to their customers, because knowing exactly how to manage their customers’ fleets and assets in the best method, ensures the maximum operating time and availability but at the lowest possible cost,” continues Watson. The start of 2016 saw the first two members of the new National Accounts Team, Brian Grady and Andy Cross join the growing company. Both Andy and Brian each have over 20-years of materials handling industry experience and have worked at large manufacturers and bring with them a wealth of knowledge of the industry. If you would like to hear more about what Doosan could offer your business, please contact Doosan HQ in Northampton on 01604 825600 or email salesadmin@doosan.com and we will be delighted to hear about your operation and to share our ideas with you.